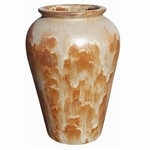 Ceramic garden pottery is made by taking mixtures of clay, earth elements, powders, and water, shaping them into desired forms and then firing each landscape container in a high-temperature kiln. 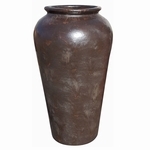 This creates a high fired, durable piece of home and garden pottery that we are proud to present here. 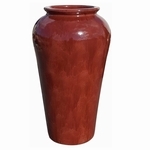 This line of garden pottery is made using the finest materials and highest quality workmanship. 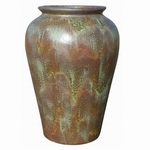 The finished high fired flower pot is then glazed and re-fired creating a pleasing glazed finish. The majority of wonderful things that exist in the world are made by nature. These home and garden durable and long lasting garden planters try to emulate nature by using the majority of materials derived from nature with a end result of a natural looking high quality product. 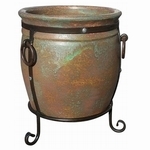 From large to small this pottery line has everything you desire in patio or porch pottery.